The transition to minister from critic can be an awkward one: After years of calling out one government, you’re extra vulnerable to scrutiny. 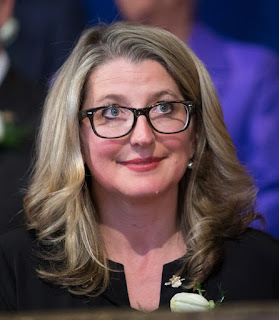 Saanich South MLA Lana Popham is paying that no mind. In her view, her experience as agriculture critic means she’s primed for her new role as minister of agriculture. At the top of Popham’s agenda is a promise to “revitalize” the Agricultural Land Reserve, the area of the province in which agriculture is recognized as the priority use, and the Agricultural Land Commission, the administrative tribunal meant to preserve B.C.’s farmland. Popham says it will mean a few things. First is a boundary review to determine whether the protected zones align with farmable land. Improvements in technology will make things such as soil assessment more accurate than when the original boundaries were drawn, she said. More controversially, Popham says it’s time for all agricultural land to be treated equally, pending consultations. Popham has previously said that Zone 2 opens farmland to other activity — including development — weakening the protection of ALR zoning. “We shouldn’t have broken it into two. One of the reasons, and this is one of my mandates, is to encourage young people to get into farming,” she said, noting The cost of farmland goes up when it’s considered a viable host for other economic activities. The shape of the Agricultural Land Commission might also change under Popham’s leadership. Six regional review panels could become a single provincial one, reducing what Popham sees as potential for political interference. 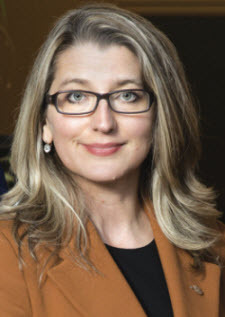 She is meeting with chairman and fellow Saanich resident Frank Leonard next week to hear his views on the new government’s mandate and how the commission is working. Ian Paton, Liberal Delta MLA and agriculture critic, said regional panels are important because they use local knowledge. “Different parts of the province vary, as farming issues go. And if I’m in Delta, why would I be making decisions on Fort St. John, if I don’t really know about Fort St. John or the issues up there?” he said. Whatever zoning model is pursued, Paton said, farmers need to have the opportunity to pursue other economic activity, especially those outside southern B.C. who have shorter farming season and need winter work to supplement their incomes. “We need to keep the opportunities there for farmers to be able to think outside the box and have different, non-farm use to create income in the months they’re not actually farming,” he said. Farmland was not part of the agreement signed with the B.C. Green Party that allowed the New Democrats to form a minority government, but it doesn’t appear as though Popham’s plans will be a source of conflict. Green Party Leader Andrew Weaver said boundary reviews are important, so long as they don’t result in the removal of vast quantities of land from the ALR. He also supports a return to single-zone ALR land. “Going back to a single ALR zone is absolutely, completely and utterly supported. Good on Lana. If she’s going to initiate this, we would support that,” he said.